POWER UP YOUR DATA · 6-MINUTE READ · By Tina Arnoldi on April 3 2017. Google Analytics is a powerful, free tool for measuring your marketing efforts. But it doesn’t deliver right out of the box. There are options for customization that you as a marketer need to be aware of so the data you report on makes sense for your business. 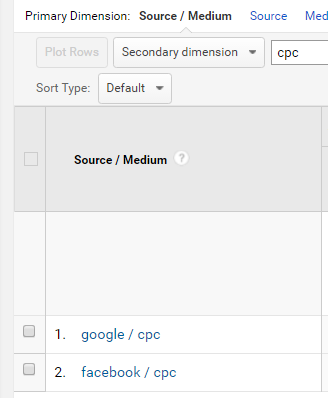 Here are three ways to power up your Google Analytics data with customizations. If your marketing campaigns are not tagged properly, you will negatively impact a number of Google Analytics reports that will misrepresent your data. 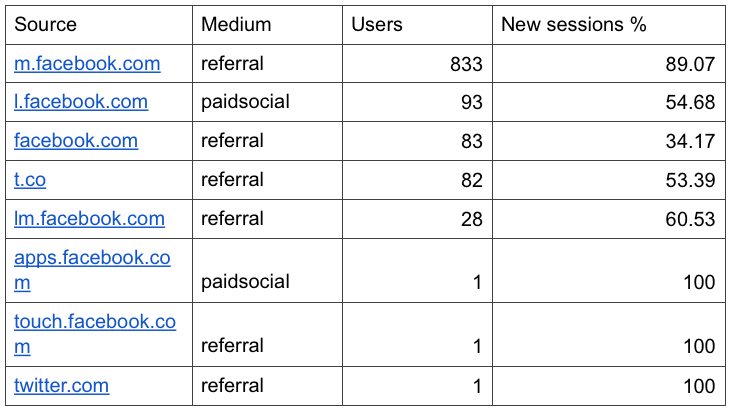 The Medium, which records data such as organic, referral, and direct, is the one to get right if you want meaningful reports, especially with your email campaigns. When you send email campaigns, recipients who use a desktop application like Outlook or MacMail will be incorrectly reported in Google Analytics because these applications do not pass referrer data. 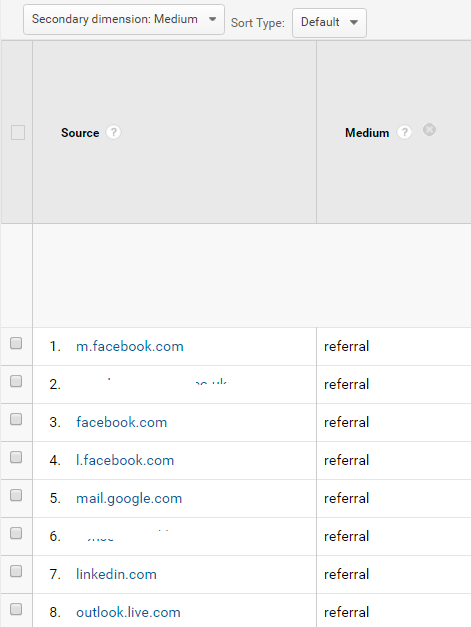 Webmail traffic, such as mail.google.com or outlook.live.com will show up in the Referrals report which makes things even more confusing. You have to drill into your sources to find traffic from Gmail or Outlook webmail. And if Google does not know what the Medium is, it will put that traffic into the Default Channel Grouping as (Other), which complicates reporting even more. To see if this is impacting your data, go to the Channels report under Acquisition and looking for a Default Channel Grouping of (Other). If you see (Other) listed in your Default Channel Grouping, click on it to drill into your data. 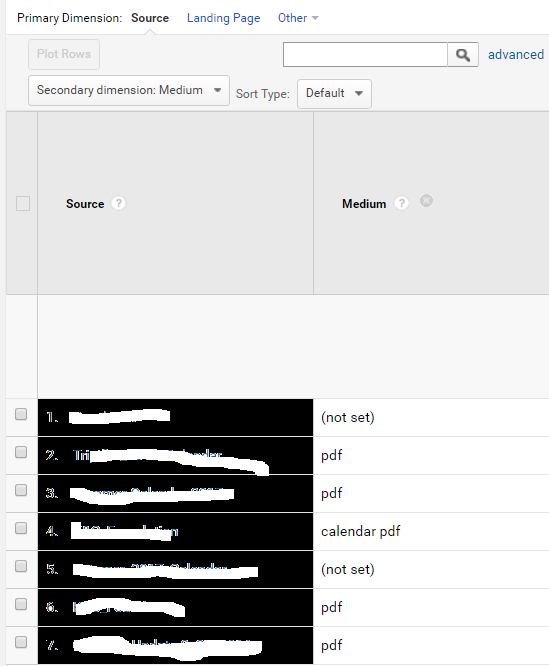 In this account, after clicking on (Other), we see there are several Mediums of pdf and one named calendar pdf which reference PDF files on this client’s site which Google did not know what to do with. To avoid confusing results surrounding email referrals and links to your website that are included in email marketing messages, use campaign tagging to add parameters to every link in an email that directs visitors to your website. Although this is an extra step, taking the time to do this upfront will result in better data moving forward and will remove that (Other) category in your reporting. How much are you spending on your marketing channels, especially when it comes to social media? If you are a large business with a significant marketing budget for paid social placement, customize your social channels rather than use Google’s Default Channel Grouping. For those who do tag social media campaigns tend to use a Medium of Cost-per-click (CPC). This seems intuitive because it is paid traffic and permits you to easily view all your CPC traffic. But traffic from a social channel is different than traffic coming from a paid direct response ad through a tool such as Google AdWords. When CPC is used to tag paid social media campaigns, this social traffic is lumped in with traffic from all paid search channels. To differentiate this traffic, you can create a New Channel Grouping for Paid Social campaigns or edit the Default Channel Grouping. Note that modifying the default channel grouping changes all data for new sessions so if you make a mistake, it’s permanent and seen by all account users. 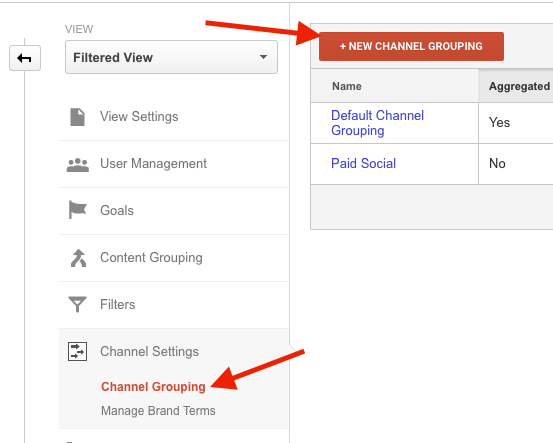 If you do not want to edit the default, create the channel by selecting +New Channel Grouping in the Admin area of your Google Analytics account. With your new Paid Social grouping, you add a source, such as Facebook or Twitter and a Medium, such as paidsocial, depending on how you have chosen to tag these campaigns. Once this Channel Grouping is saved, you will have data grouped in your Google Analytics reporting specifically for paid social traffic. 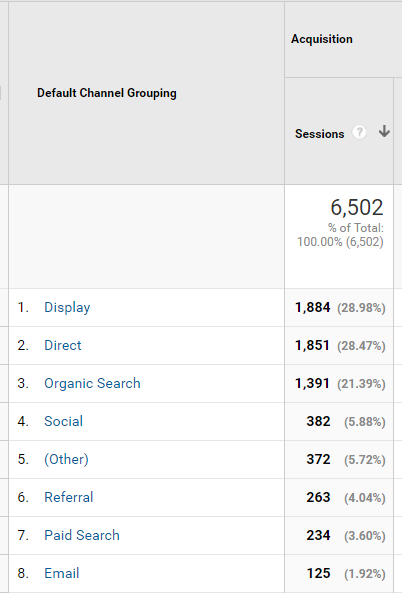 When you use Supermetrics for Google Drive to view your social traffic, you will have an additional medium of paidsocial to differentiate your paid and organic traffic as seen below. A lot of sites inadvertently send traffic off their website after doing all the hard work of getting people there. In the ideal world, you keep people on your website so you can easily monitor all their behavior. However, this is tough to do because many companies use third party solutions, such as PayPal for payment or Eventbrite for event registration so they have people finish the checkout process on an external URL. If you are in this situation where visitors do not stay on your site when they finally take that action you desire, there are two settings to check to ensure visitors do not take all their data with them when they check out on a different site. The above image shows that PayPal was added to the Referral Exclusion list in the Admin area of a Google Analytics account. As a result, Google Analytics will not start a new session when the site visitors come back from PayPal if they were just on your site. When the user checks out with PayPal, Google Analytics will look for PayPal.com on the Referral Exclusion list and since it is there, it will no longer create a new session. That’s the easy part. If you need to know what they the visitor did while on a third-party site, you need to implement cross-domain tracking. The ability to do this depends on whether or not your third party payment or event registration tool allows you to add your Google Analytics tracking code to their pages. This is the only way to allow for the cookie to pass from your website to a website that you do not own. When Google does not see this cookie indicating cross-domain tracking, a new session starts. Since you want to pass cookie data back and forth between the two sites, before working with a third-party vendor, ask if you can add your code to their solution because it’s required for monitoring behavior on their site. Tag all of the links in your email campaigns. Even if you use an email newsletter solution that integrates with Google Analytics, you still want to add manual tags to every link that goes back to your website. Are you doing a lot of paid promotions on social media? If so, create a custom channel grouping just for this paid traffic. If you can integrate payment and event registration directly on your website, that is the ideal scenario. If you cannot, add your third party sites to the Referral Exclusion List. If you need to monitor behavior while the visitor is on that third party site, you will need to add cross-domain tracking.